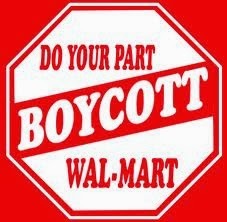 As for me and my family we will be nowhere near any retail stores today. Thanks to the marketing gurus of Walmart, the Corporate Greed of Financial Institutions and Multi-nationals, much of America and the Western World has been sold a bill of goods. Like sharks in a feeding frenzy many will descend upon the Big Box stores and push their way through to a bargain. It is not necessary to live this way. There are many other ways to live. Today I will enjoy a long walk with the dog, I will do some writing, listen to some good music, enjoy the company of my wife and be in touch with our children. The eldest is visiting his friends in Britain. The next is with his friends in Virginia. And the youngest is in Chicago with his friends. One works for an inner city anti poverty agency. One is devoted to great literature, particularly the mastery of Shakespeare. The third sings for an internationally renowned acapella singing group. Living as an ethical presence, on behalf of the poor, delving into the human condition through the literary corpus, and singing exquisite music....ah, these are the things that satisfy something profound in the human soul. Much is missing in the human soul if it does not satisfy itself with something a bit more profound than crashing the doors at Walmart. As for me and my family, we shall search for something more. Something to satisfy the soul. Thanksgiving is not "for" anything. I am certainly not thankful that I am rich in things. I have enough and am giving away much of what I have accumulated through the years. No, Thanksgiving is a way of life. Gratitude is simply the manifestation of a heart that finds in life all that is uplifting and especially on behalf of those who had been laid low. The American worship of the Almighty Dollar has much to learn. This Black Friday is black indeed. Especially when it blackens the soul with nothing more than the frenzy of shopping. Black Friday is black indeed when it exploits the worker with a minimum wage that keeps working people working harder and falling further into poverty. The Pope is quite right in calling this a modern form of idolatry. "THANKS-TAKING" is a very long way from Thanksgiving. "A House of Prayer for all people." But when we try to put such an idea into practice, all hell breaks loose. 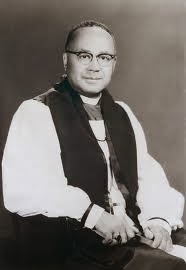 Just take a look at the Episcopal Church, for instance, as a microcosm of the struggles we've been having in the wider culture in the past half century. 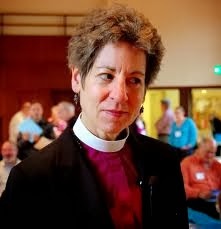 Lets say we decide through a democratic process to consecrate an openly gay man as a bishop in the Episcopal Church. After all, we were only doing openly what had been done secretly for centuries, and not just in this branch of the Catholic Church. 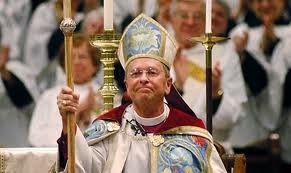 Take a good look at this man; according to Jesus, you must love him even if he happens to be a happily married gay man. The furor left in the wake of this decision has left our church in schism in some places...but by and large, we in the US have bonded together more strongly as we seek to remain faithful to our understanding of the Gospel. After all, we are a "House of Prayer for All People". We seek to "Love one another". It all happened before as we broke the barriers of gender and through democratic process again, we elected a woman to serve as a Bishop in the Diocese of Massachusetts. Take a good look at her. Jesus said you must love her too. That was years ago. 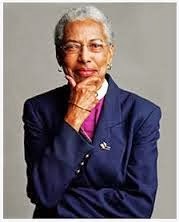 To go you one better we even elected a woman to serve as our Presiding Bishop. Take a good look at her. You must love her too, if you claim to follow Jesus. She was treated uncharitably by the Archbishop of Canterbury and many other bishops of the Anglican Communion shortly after her election. But we remained unmoved in our resolve to be a "House of Prayer for all People" where we would be obedience to the moral mandate to "Love one Another". I am old enough to remember a time when race was a matter of great controversy. God help us, it still is. And we elected this man to be the Bishop of Massachusetts. He ordained me in 1972. John Melville Burgess is held in very high esteem these days, but I can remember a time when some of my "white" brothers made disparaging and uncharitable remarks about him. The church and the culture around it is struggling to make our sacred spaces and our nations places where race, class, ethnicity, gender and orientation are no longer pigeon holes that divide us, but merely facets of a jewel through which we may see the Glory of God refracted through every human face. In a moment of sublime insight, Paul the Apostle to the Gentiles ("Outsiders") said this of our discipleship; "There is no longer Jew or Greek (or any other race or ethnicity), there is no longer slave or free (or any other class or economic status), there is no longer male or female (or any other classification by orientation that separates one kind from another), for you are all one in Christ Jesus our Lord". Galatians 3:28. November 1 is All Saints Day in the Church's Calendar. The Church Calendar is an attempt to sanctify time. The sanctification of Time is a hollow notion without the sanctification of all humanity. 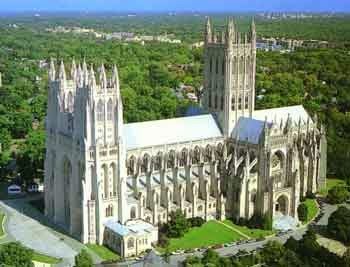 As a teen I was brought on pilgrimage to the National Cathedral. As I looked up at the great west doors of that magnificent church, I saw these words; "A House of Prayer for all people." ~ Isaiah 56:7. That made such good sense to me. Little did I know how contentious and controversial that simple proclamation would be to follow as a disciple of Jesus. The Gospel's mandate to "Love one another" trumps the simplistic Pharisaical human tendency to organize people into convent boxes of orientation, gender, class, ethnicity, and race. How can Christian folk say such things when we are all "one in Christ Jesus our Lord". Look what happened to Jesus. So often he found himself in conflict with the rich and powerful, but that never stopped Jesus for speaking up for the poor, the outcast, the marginalized. The Gospel for All Saints Day has a bite to it. The Lucan version of the Beatitudes places these words in the Savior's mouth. They are well worth reading again. "Blessed are you when people hate you, and when they exclude you, revile you, and defame you on account of the Son of Man. Rejoice in that day and leap for joy, for surely your reward is great in heaven; for that is what their ancestors did to the prophets. In the meantime we live in this world but not of this world.